Falls Prevention: Will the LHINs overcome the impact of delisting and fiscal restraint? Taken by themselves, the numbers are startling. About 50 per cent of injury-related hospitalizations for seniors are from falls. We spend an estimated $962 million a year dealing with the health outcomes from falls. Falls are responsible for 95.1 per cent of all hip fractures. One in three seniors is likely to fall at least once per year. Six Local Health Integration Networks (LHINs) had identified falls as a priority and have already implemented comprehensive prevention programs. Last July the LHIN Collaborative (LHINC) put out its own framework and toolkit, aiming to establish a province-wide strategy on falls. From the beginning Local Health Integration Network board meetings have only allowed the public to witness the proceedings, never to participate. 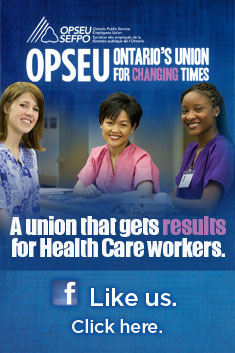 Given the LHIN mandate to engage the public, the opportunity to be seen but not heard appeared absurd. Many a contentious meeting took place where community members were acknowledged in the room, but never allowed to express their concerns directly before the board. Now several of the LHINs are establishing opportunities for the public to make deputations at the monthly LHIN board meetings. The application will be vetted and the Corporate Governance Coordinator will notify the interested party if they have been approved or not. Materials presented to the board must be similarly vetted. Given an agenda for the LHIN board is seldom posted more than a few days before these meetings, the applicant will not necessarily know if they are speaking to a matter for a decision before the LHIN. This appears to be a very cumbersome process, and will likely discourage many community organizations from participating. Many of the issues that come before the LHIN are seldom known in the community 30 days in advance. By comparison, the Erie-St. Clair LHIN presents an open mic at its board meetings. Open mic presenters have only need of registering in person on the day of the board meeting. They are limited to five minutes for their presentation, followed by another five minutes for questions and answers. There is no prescreening. Erie St. Clair also makes opportunities for the community to present before open education sessions of the board. At least these two LHINs are making an effort to open up. The Wellington-Waterloo LHIN makes no such opportunities available, insisting the public put their concerns in writing. Most continue to maintain they are interested in hearing from the public, but just not at their board meetings where real decisions are made. The province is presently rolling out new guidelines for public engagement, but there is no mandate to open up board meetings to community participation. If the LHINs expect us to take community engagement seriously, they should do more to connect the community to their decision-making boards. Erie St. Clair and the Central East LHIN are at least making a start.